How many times has a fellow hobbyist helped you out, asking for nothing in return other than friendship and the ability to share more with you? Well, we have a fellow aquarist in need, and this individual has probably helped each and every one of us in one way or another. Earlier this month, the very mature reef tank of Marc Levenson (aka Melev) started leaking. His gorgeous 280-gallon reef had to come down, as the seam and any repairs made to it wouldn’t last long-term. Marc is currently planning his replacement aquarium, and it looks like he’s going to get some help from all those whom he has helped. A Reef Addicts member recently posted an article asking for members of the aquarium community to help support Marc’s upgrade by donating to a “New Tank Fund”, or by purchasing an item from Melev’s Reef Shop. Normally I don’t promote or support these types of donations, but Marc is an extraordinarily nice guy who has helped my local aquarium community multiple times and I will do what I can to repay the favors. 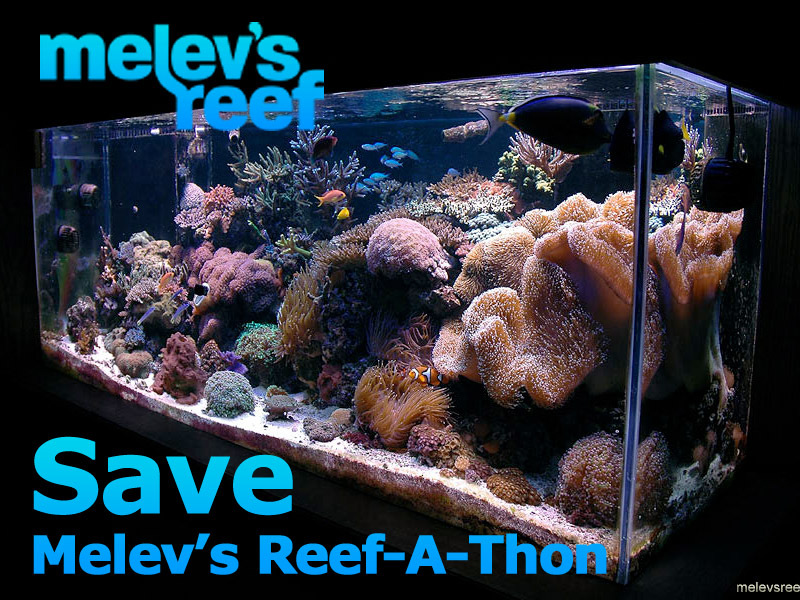 If you too would like to help Marc, please visit Melev’s Reef-A-Thon for more information.